Sainath Reddy is our visiting Orthodontist and will be happy to discuss about all your concerns about straightening teeth . Orthodontics is the first speciality of Dentistry that is concerned with the study and treatment of malocclusion. Orthodontic treatment can be used to prevent problems before they occur, intervene as and when necessary to avoid a potential problem from getting worse or correct and treat irregular teeth once the problem has developed in adults and children alike. Care Dental offers a wide variety of Orthodontic treatments in Tidworth . From simple removable braces to more Comprehensive Orthodontic treatment involving Functional appliances followed by Fixed braces. Your Braces need not be the metallic "Train Tracks" that we are all used to, there are Ceramic braces (clear) available now and for minor tooth movement the -Inman aligner,Clear Aligners. “Invisible” removable aligners are perhaps the highest profile orthodontic appliance, with widespread advertsing in magazines and television. Whilst they have become increasingly sophisticated and refined it remains important to be clear about the circumstances in which these devices are best used and by whom. 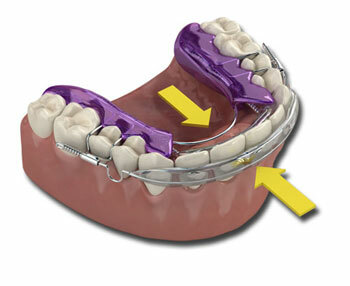 After any aligner treatment, retainers will be required to ensure the teeth maintain their corrected positions. 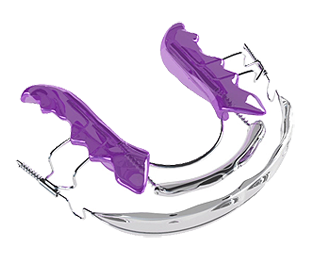 Aligners are thin clear flexible plastic ‘mouthguards’ which fit closely over the teeth. A series of aligners is used to move the teethincrementally according to a treatment plan developed by the orthodontist. Aligner appliances are ideally suited to adult patients whose life-style or work commitments make it difficult for them to wear more visible conventional fixed appliances. When should aligners be used? Aligners are best suited to cases needing simple alignment of teeth without extractions. It may be possible to carry out more complex treatments but an ideal result may require a short course of fixed appliances to upright the roots of the teeth.